You may or may not know, but for some time now, I have been living on a farm in Bentong, Pahang. Also for some time now, I have been supplying groups in KL / PJ on a weekly basis with fresh water fish and organic fruits / vegetables that are reared / grown on the farm. Presently, deliveries are done once a week to Sections 5, 6, 7, 8, 17 in PJ, Bandar Utama, Taman Tun Dr. Ismail, Bangsar and Damansara Heights area in Kuala Lumpur. Occasionally, when the order size makes it viable, we do a drop in Shah Alam. Every week, a product availability and price list is e-mailed out to customers on my mailing list. Orders are then collated and deliveries made on the next Monday. For the moment, with a view to enabling new prospective customers to give our products a try, we are not setting a minimum order before we will make a delivery to the home of the customer, even if the location is outside of our usual supply areas mentioned above. Obviously, for those new customers living in the areas mentioned above, we are presently able to deliver to their homes without requiring a minimum order. Drop me an e-mail at namlaitaisuan@gmail.com if you need any clarification or further information. Better yet, if you’d like to place an order to give our products a try. Also, please feel free to forward this information to your family and friends who you think might be interested in our products. If you’d like to know a bit more about the farm, and see some photos of the same, go HERE. The fish that we deliver to you is caught and cleaned on that very morning. You can’t get it any fresher than that. And because our ponds all have constant running water, you will not find any muddy smell lingering on the fish delivered to your homes. Besides this week’s product and price list, in PDF, linked below, I’ve also reproduced a recipe for grilled tilapia. Grilled Tilapia prepared directly over a charcoal fire produces the best results. If you have no charcoal grill, you can use the oven broiler to make grilled Tilapia. Squeeze the lemon into lemon juice. Chop the sweet green pepper or bell pepper into fine pieces. Put lemon juice, onion, sweet green pepper or bell pepper, red pepper flakes and/or cayenne pepper, salt, vegetable oil and vinegar in a glass bowl. Stir carefully until all the ingredients have become well mixed with each other. Cut 3 slits across each whole Tilapia fish on both sides. Grill the Tilapia over a charcoal fire or broil it in the oven. 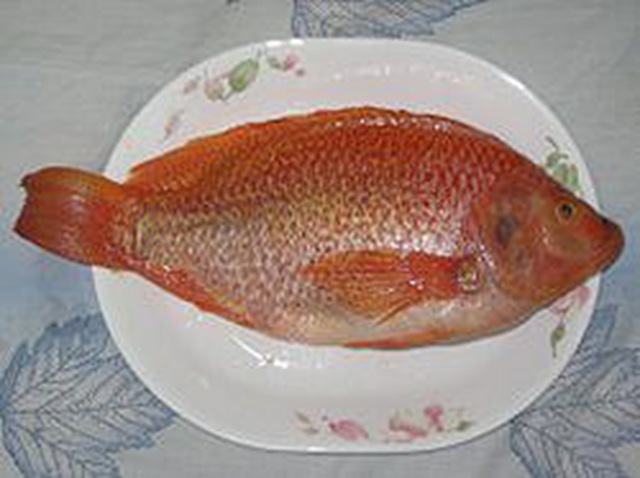 The Tilapia needs to be turned over one or two times during the grilling. Imagine opening your e-mail at 4 in the morning to find a link to a blog that features some truly mouth-watering culinary creations. And all I had with me then was black coffee! Pia says that these vegetarian sausages were “born out of poverty — a way to make readily available ingredients stand in for more expensive meat”. 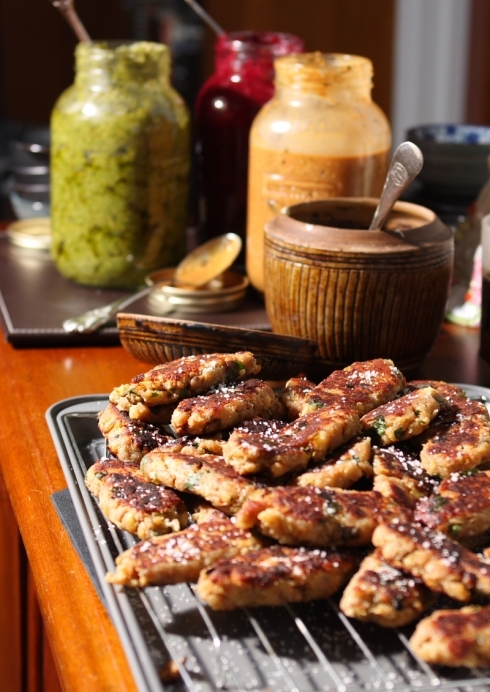 Check out Pia’s recipe for Glamorgan sausages HERE. Locally known as Buah Kedondong. 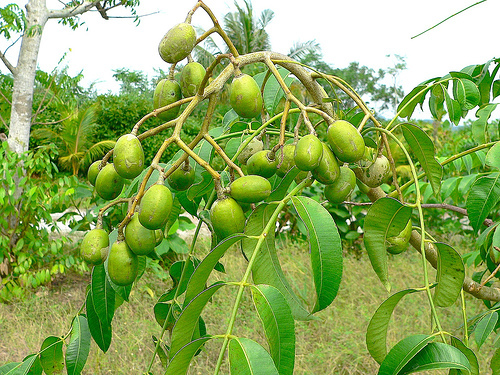 Other names for this fruit are Otaheite apple, Tahitian apple, Jamaica plum and golden apple. The fruit is about the size of a ciku. It is sweetish-sour in flavor and crunchy in texture. We’ve got 10 kilos to ship out this week. For the price of the kedondong and that of the other products available this week, go to the Weekly Product and Price List, in pdf, below.